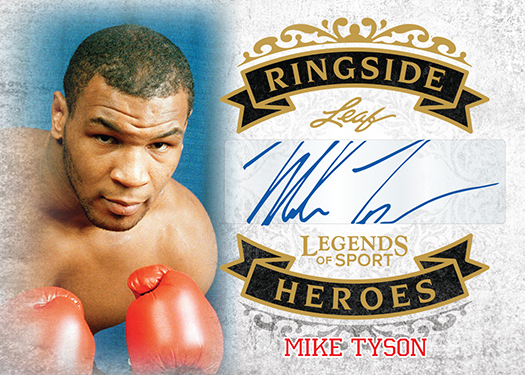 News Flash: 2015 Legends of Sport Box GROUP BREAK Today at 6:00. Every $40 Spot gets ONE Random Card from a Factory Sealed Box. Call 210-524-2337 to pay for your spot TODAY. Leaf Trading cards brings back LEGENDS OF SPORT this Wednesday at Sports Cards Plus. Very LIMITED Production, beautiful card design, nothing but the greatest names in sports, it all translates to the very best multi-sports product of 2015. Only 200 numbered 10-box cases produced and Sports Cards Plus, a.k.a. The Super Hit Factory was able to score 3 cases for our customers. The checklist is strong and with SEVEN Autographs per box, the odds of pulling a significant signature are very good. The lineup will feature many global sports icons with some of the top soccer players from the past and present, including Cristiano Ronaldo, Pele, and Lionel Messi. Some of the other sports stars included in Legends of Sport include, Mike Tyson, Cal Ripken, Jerry Rice, Troy Aikman, Roger Federer, Andrew Wiggins, Marcus Mariota, Jameis Winston, Damian Lillard, Bill Russell, Terry Bradshaw, Ric Flair, and Hulk Hogan. 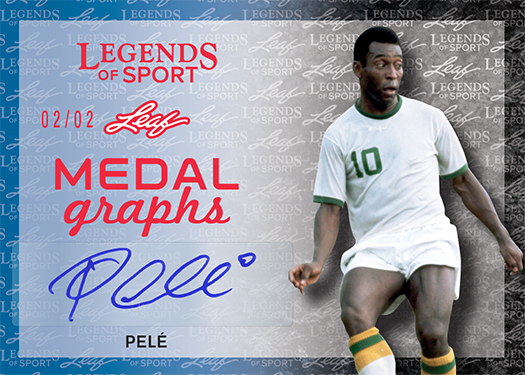 Legends of Sport will have several parallel versions that are numbered as low as 1/1. "Enshrined Autographs" are made up solely of Hall of Fame sports legends while "National Pride Autographs" are made up of the best athletes from around the world. "Medalgraphs" is a compelling collection focused on Olympians that won metal in their respective sports while "Ringside Heros spotlight the best from the world of boxing, wrestling, and mixed martial arts. Soccer fans are sure to appreciate the "Cup Dreams Autographs" which looks at soccer stars that have appeared at the FIFA World Cup over the years. 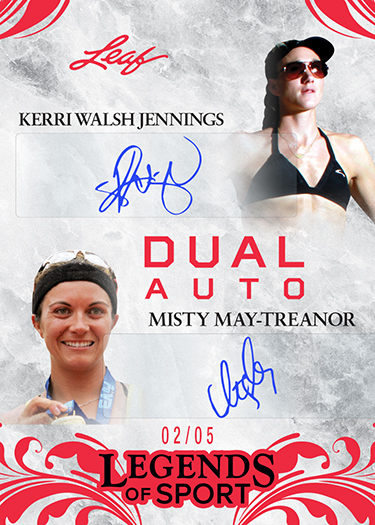 There will be very limited multi-signed cards, signed by two or three players from the same sport. There is a dual signed Ronaldo & Messi and a triple signed Ronaldo, Messi and Neymar. Look for these cards to demand enormous attention on the secondary market. 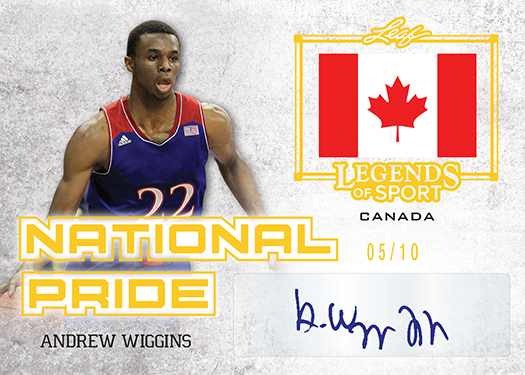 2015 Leaf Legends of Sport is both a fun product to bust and a product that will produce many high demand cards. With only 200 cases, many of which will be busted at this week's National Sports Card Convention, these will quickly disappear.